The '"chai" you find in nearly any coffeehouse today has a history that dates back thousands of years. 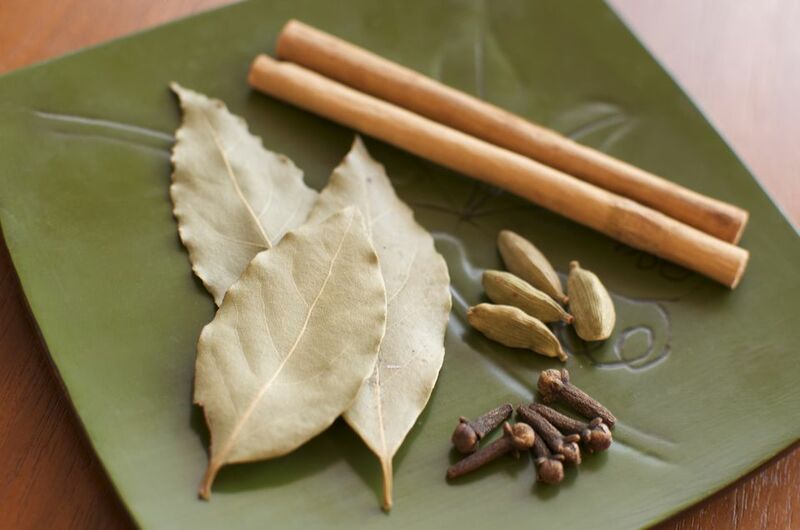 Ancient masala chai (meaning "spiced tea") is steeped in tales of royalty and herbal medicine. It has evolved over thousands of years to include countless variations and a worldwide fan base. According to lore, masala chai’s history began thousands of years ago in an ancient royal court. Some legends say it was created 9,000 years ago, while others claim it was 5,000 years ago. There are stories that the court was located in what is now India, while others attribute masala chai to Thai origins. Regardless, it is said that a king created it as a cleansing, vivifying Ayurvedic beverage. Even early on, masala chai was made with a wide range of spices and prepared with many different methods. It was served either hot or cold as a remedy for mild ailments. At the time, the spicy-sweet drink did not contain any tea leaves and was caffeine-free. In 1835, the British set up tea plantations in Assam, India. The black teas produced there made their way into local masala chai recipes. This was the first appearance of masala chai as it's known today, complete with spices, milk, sweetener, and tea. However, this mixture lacked mass appeal in the region, as tea was primarily an export and was too expensive for most Indians. In the early 1900s, the British-owned Indian Tea Association began to promote Indian tea consumption within India. Because black tea was the most expensive ingredient, vendors used milk, sugar, and spices to keep their brews flavorful while holding costs down. Masala chai's popularity spread. Masala chai became even more popular in India during the 1960s when a mechanized form of tea production made black tea affordable for the Indian masses. CTC (Crush, Tear, Curl) tea lacks the nuances that many crave in an unadorned cup of tea. It does, however, have a bold, tannic flavor that made it a tasty foil to masala chai’s sweet, creamy, and spicy notes. For this reason, CTC masala chai remains a staple in many parts of India. Regionally, street vendors and train vendors called chai wallahs ("tea persons", kind of like a barista of chai) serve masala chai to the public. Chai is also used to welcome guests into the home. In some areas, people drink an average of four small cups of chai per day. A popular time for chai is around 4 p.m. with an afternoon snack. This snack may include savory treats like samosas, pakoras, farsan (Gujarati snacks), and nashta (savory breakfast foods that double as snack foods). Indian masala chai is usually sweetened with a form of local, unrefined cane sugar called jaggery. Elsewhere, it is sweetened with more widely available sweeteners, such as cane sugar and honey in the United States. In India and most of the rest of the world, masala chai is made with black tea. In Kashmir, gunpowder green tea is used instead. Many American tearooms use loose-leaf black tea instead of CTC. You will also find that many caffeine-free versions of chai contain rooibos. The milk in Indian chai is usually whole milk. Worldwide, some people prefer skim milk, soymilk, or other non-dairy options. A number of American coffeehouses use vanilla ice cream to make frozen chai. In India, masala chai is made from scratch with fresh ginger and fresh-ground spices. In the U.S., it is widely available as a syrup concentrate—common in coffeehouses—and as a tea "blend" with dried spices, but it rarely made from scratch. In America, the ingredients and preparation methods aren’t the only variations. Over the years, the name "masala chai" shifted to "chai" or even "chai tea." This is a bit misleading, however. Since "masala chai" means "spiced tea", "chai" simply means "tea". Worse yet, "chai tea" would translate to "tea tea". However, the spread to America isn’t bad at all and masala chai gets a lot of respect. Many teahouses are serving up very high-quality, loose-leaf masala chai as consumer expectations of tea continue to rise. Additionally, in recent years, chai tea lattes and a masala-flavored drink called dirty chai have both become popular in many coffee shops in the West.